RAPAPORT... De Beers has expanded its blockchain initiative into the Asian retail sector by signing up Chow Tai Fook, the largest diamond jeweler in the region. Chow Tai Fook’s participation will enable De Beers to extend the reach of the Tracr diamond-tracking program into greater China and the wider Asian market, the companies said Wednesday. 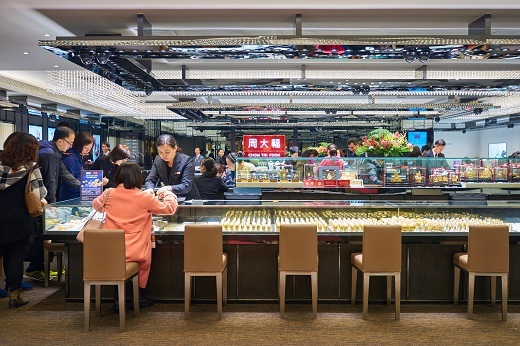 “Authenticity, provenance and traceability are increasingly important in the jewelry sector, particularly for consumers who pursue to know the jewelry they purchase supports their values and expectations,” said Kent Wong, managing director of Chow Tai Fook. Earlier this year, the jeweler partnered with the Gemological Institute of America (GIA) on a blockchain program to deliver digital grading reports for its T Mark brand. Joining Tracr extends Chow Tai Fook’s use of blockchain to other collections. Its participation means Tracr now has the world’s two largest diamond retailers on board, after US giant Signet Jewelers joined the project earlier this year. De Beers launched Tracr to provide a digital link across the entire supply chain from mine to retail, pitching it as an open platform for the entire diamond industry. During the current pilot stage, it’s working with Russian miner Alrosa and five diamond manufacturers, in addition to Signet and Chow Tai Fook. “This will help accelerate Tracr’s ability to fulfil its mission of working with the industry to build a digital ledger that spans the entire diamond pipeline, helping to ensure the platform made by the diamond industry meets the needs of all industry participants,” De Beers said.